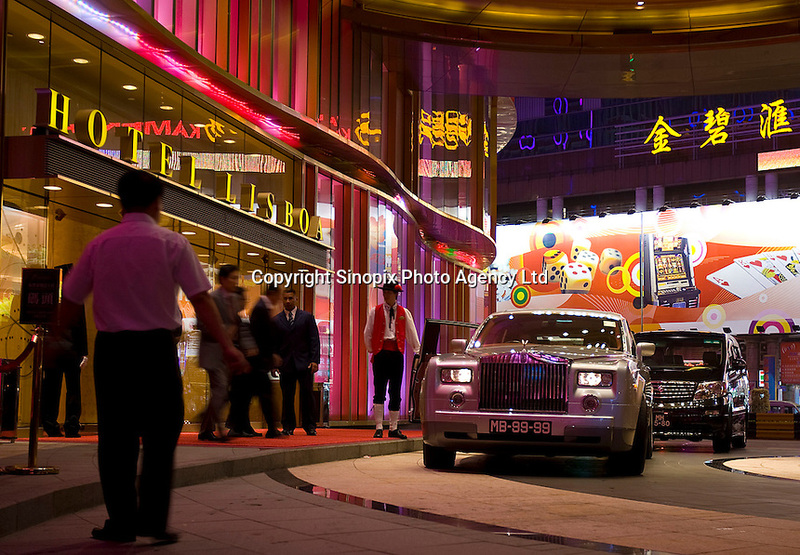 A gambler walks towards his Roll-Royce Phantom as he leaves his property, the Hotel Lisboa in Macau, China. A view of the Casino Lisboa from across the fountain lake in front of the Wynn Casino in Macau. The ex-Portuguese colony of Macau in South China is a mecca for gamblers in Asia and especially China and makes more money that Las Vegas.